The latest WRC wrapped up last Friday after a month of discussions and negotiations with representatives of the major users of spectrum — the mobile, broadcasting and satellite industries—all claiming to have won significant victories. As they had mostly been fighting for rights to use the same blocks of spectrum, nobody had won as such, but eventually compromises were reached everybody could live with. And that has pretty much been the story of the four-yearly or so WRCs. WRC-2000: There was considerable disagreement between the US on one side and the EU on the other, with the Europeans wanting spectrum to be clearly “identified” for certain uses and for identification to become a recognised term with regulatory meaning. The Americans wanted far more flexibility in using IMT bands for other services. However compromise was reached. 890 to 960 MHz: fragmented co-allocation of the band to different services in different regions. 1710 to 1930 MHz: global identification of the 1.8 GHz band, except for the US and another 20 countries which use 1.9 GHz. 2500 to 2690 MHZ: co-allocation of different parts of the band in different regions to a variety of services. WRC-2003: The 2003 conference saw no identification of new spectrum, but it was important in that the first steps were taken to ensure IMT2000 spectrum at WRC-2007, with all bands recognised for IMT being available for 3G and beyond. It was also realised at the conference that the era of mobile broadband was dawning with data due to become a heavy user of radio spectrum. WRC-2007: Several new bands were identified for either global or regional harmonisation at WRC-07, and the need for a considerable amount of new spectrum to be identified at future WRCs was also stressed. This was the conference at which the first global digital dividend was identified for IMT Advanced technologies. 698 to 862 MHZ band in Region 2 and nine countries of region 3. Digital Dividend 1 (700 MHz band). 790 to 862 MHz band in Regions 1 and 3. Digital Dividend 1 (800 MHz band). WRC-2012: As in 2003, there were no new global harmonisations although it was agreed the 700 MHz band would become globally available in 2015. The conference also decided on additional spectrum to be considered by WRC-15. 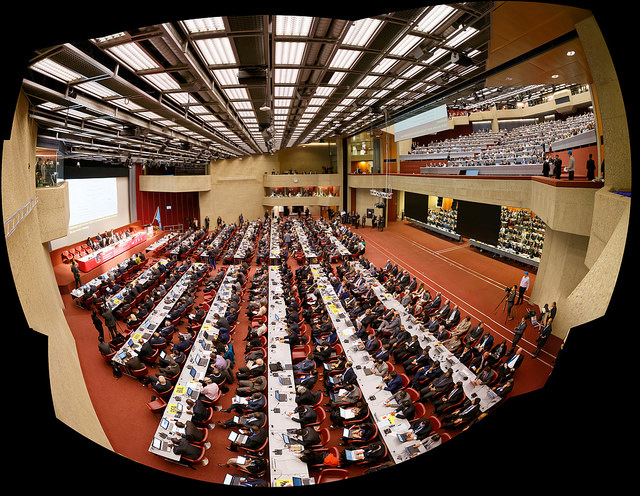 WRC-12 was brought to an end with the adoption of a set of resolutions to revise the Radio Regulations, the international treaty governing the use of radio-frequency spectrum, and satellite orbits. WRC-2015: There was a lot of friction and intensive lobbying in the lead up to, and during, WRC-15 although in the end compromises all parties could live with were made. For broadcasters there was a victory in maintaining the UHF band below 694 MHz for sole use by broadcasters in Region 1 and most of Region 3 with further discussions only at WRC-2023 (preventing any global debate on sub-700 MHz until 2023 was no doubt a major victory for broadcasters). 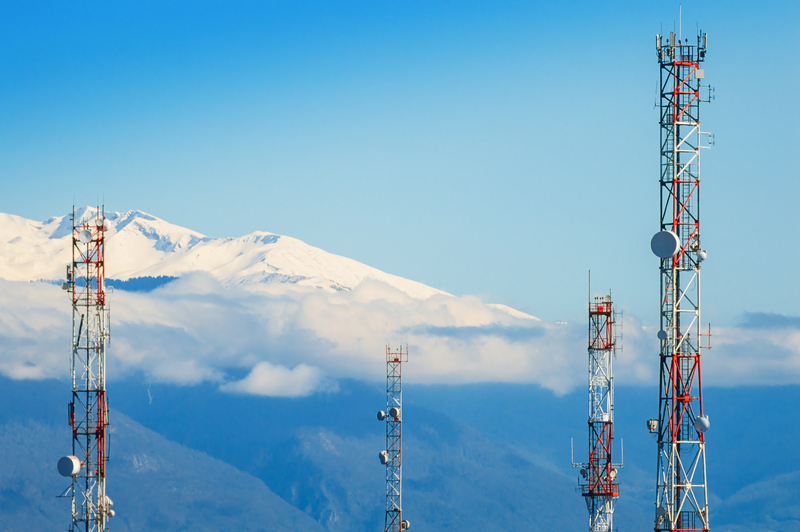 In Region 2 administrations will be able to allocate some of the band for mobile, and the US will hold a second digital dividend auction early next year at 600 MHz. 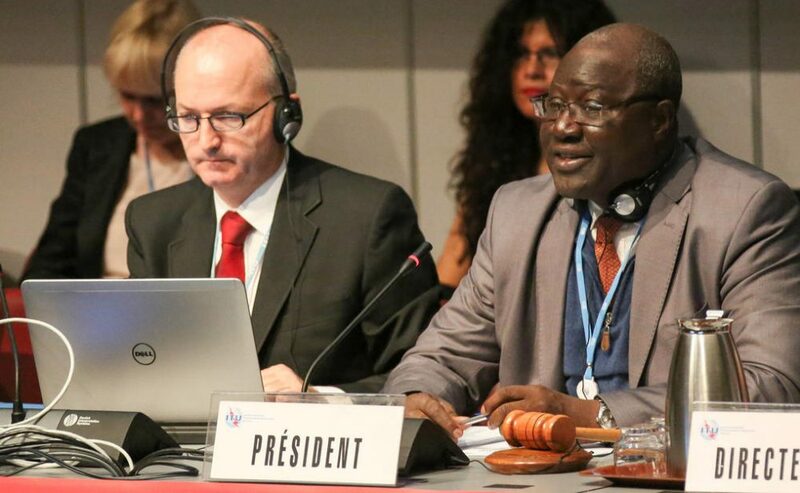 The mobile lobby claimed global harmonisation of the 694 to 790 MHz band in its achievement, although this had been agreed at WRC-12. This allows a second digital dividend in Region 1. France and Germany have already conducted 700MHz auctions and the UK has just put aside nearly $900 million to compensate broadcasters and the PMSE industry. Both satellite operators and the GSMA claimed to have won in the L and C Bands. 1427 to 1518 MHz, the lower part of L-Band, was identified for IMT as was 3.4 to 3.6 MHz, the lower part of C-Band (work in fact had already done at WRC-07). However the higher parts of both bands remain dedicated to satellite.